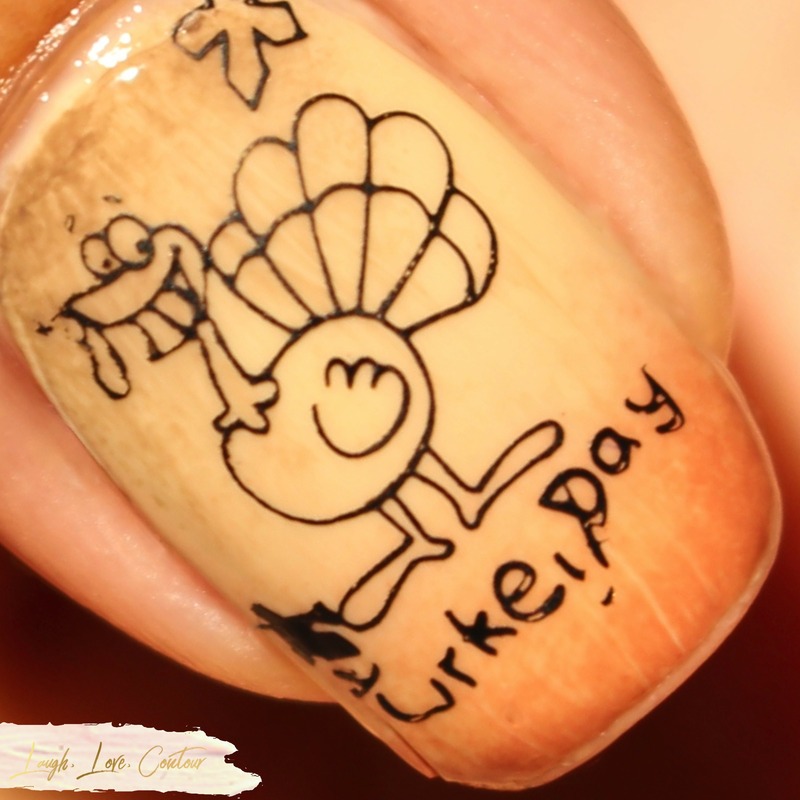 Do I have the cutest Thanksgiving-inspired stamping plate to share with you! While I'm generally not gung-ho about turkey day as I am about Halloween or even Christmas, there is no doubt that Born Pretty Store has come up with a winner with this plate! I was feeling a simple, more natural look to go with this design, and I'm pretty happy overall with how it turned out. I definitely had some serious shrinkage from my top coat though, although thankfully my turkey day images were left intact. To create this look, I started off with Precision Nail Lacquer in Sandstorm. I then sponged on Precision You're In De-Nile River and OPI Chocolate Moose on opposite ends of my nails. I then used Rica Blackout with the stamping plate to transfer images onto my nails. How adorable is this look! I'm happy to report that all the images I tried on this plate stamped easily for me. The images are etched deeply and my stamper picked up crisp images on the first attempt. 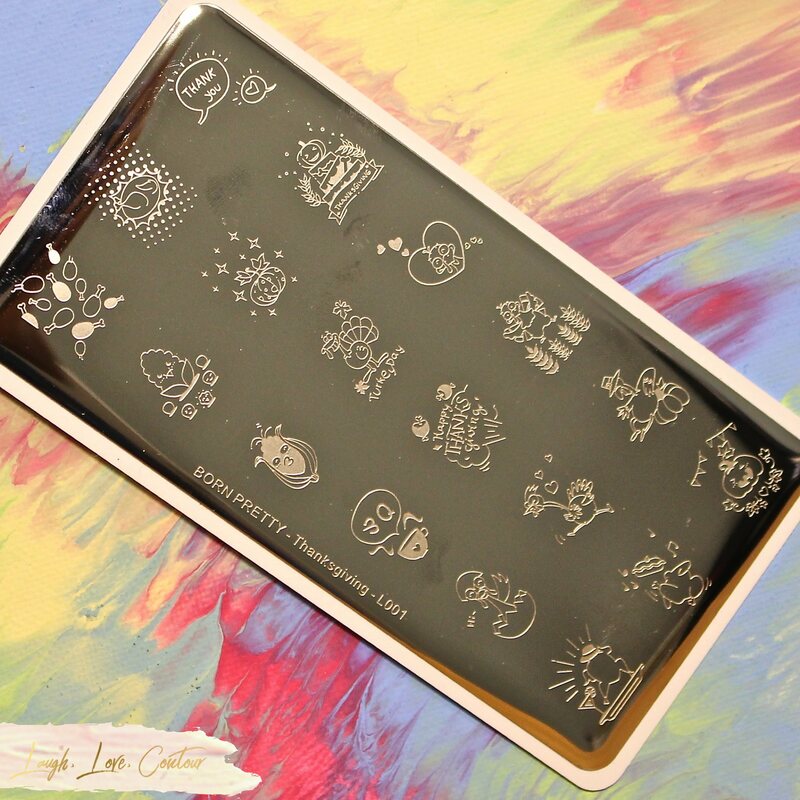 The stamping plate can be picked from Born Pretty Store here. While it is normally $5.99, it is currently marked down to $3.99. 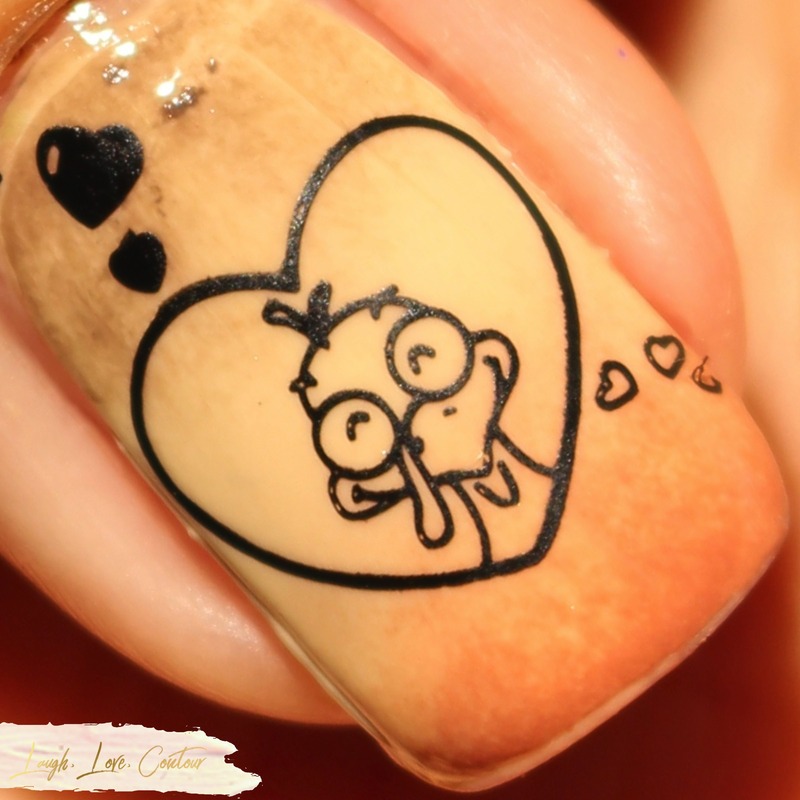 While you are there, be sure to check out what all Born Pretty Store has to suit your nail art needs. Also, don't forget to use discount code QWL91 to save 10% on full priced items in your cart!